For those who are unfamiliar, Parallel Sailor Moon is a short manga that appears in the back of the Sailor Moon Materials Collection,1 the last official “artbook” in the series to be published by Kodansha. I use the term “artbook” loosely here since it’s really just a collection of Ms. Takeuchi’s notes, sketches, and character profiles that she made while creating the world of Sailor Moon. Written by Ms. Takeuchi in March 1999 exclusively for this book, the story follows Kousagi Tsukino, Usagi’s 8~9 year old daughter and ChibiUsa’s younger sister, who is joined by her friends (the daughters of Ami, Rei, Makoto, and Minako) on a quick sailor suited adventure. It’s a fun little story, so if you haven’t read it before, I definitely recommend that you check it out! Glad to see you’re a fast reader! …Okay, good? Let’s get back to it! Now that’s you’re up to speed, let’s take a look at the canon… -osity? ism? -ality? … -ness of the story. Can Parallel Sailor Moon be considered a part of the series canon? 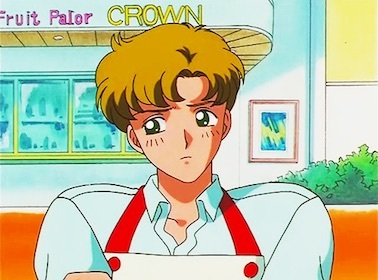 The answer to that is a very simple “absolutely not.” I could also go for “definitely not,” “no way Jose,” or “not a Jadeite’s chance against a Fire Soul.” No matter how we choose to phrase it, however, the answer is still the same: the short comic is not to be considered a part of the Sailor Moon timeline. Did someone need a 1999 Sailor Moon calendar? Assuming that we’re charitable enough to ignore the fact that the story itself claims to take place in another universe (after all, I suppose you could argue that the text is suggesting that it’s a dimension different from our own), the story itself also falls apart rather quickly when compared with the rest of the established Sailor Moon canon. Read also: Are the Sailor Moon Characters Too Old For Their School Grades? Take the date, for example. We know that Naoko wrote this story in March 1999, which means that this date of July 19993 is meant to be when the story itself is set. 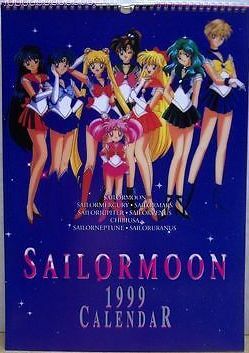 Considering that Usagi must have been born in 1978, that places her at 21 in July 1999. When you consider that ChibiUsa, a 15 year old third-year student at junior high,4 exists in this universe, that pretty well and firmly shuts off the possibility that this could take place in the Sailor Moon universe as we know it. While I’d love to let you go on, I’ll have to stop you right there. First off, Usagi is introduced as being the “mother of two children” in Parallel Sailor Moon. Second off, ChibiUsa is referred to as her first daughter, and Kousagi as her second. If this were ChibiUsa from the future while Kousagi was born properly in the normal timeline, then that would mean Kousagi is the eldest daughter. Even in that case, we’d be cutting things pretty close and getting well into the creepy territory when you consider that Kousagi is 8-9 years old. This would mean that Usagi would have been 12 or 13 when Kousagi was born, which is before the Sailor Moon series even started. I don’t think I need to go into how dysfunctional that is. The same issue applies as well for all of the other Sailor Soldiers’ respective children. So probably the safest bet here is that Usagi and co.’s ages are off, and that Usagi is much more in line with, say, her mother Ikuko’s age at the beginning of the series. That puts Usagi at 20 when ChibiUsa was born in 1984, making her 28 years old when the events of Sailor Moon started in 1992. Not exactly what I’d call a magical school girl. Makoto, for her part, also claims to have been married for 7 years, and to have lived with her now-husband for 2 years prior to that. You know, since 1990. So what if Crystal Tokyo just never happened? What if we go the other way around, if we pretend that the 1999 date is wrong and that this whole story takes place later on in the future after the Sailor Soldiers had grown up and moved on with their lives? Read also: Did Sailor Moon Influence the School Girl Miniskirt Boom? Well, that doesn’t work either. Usagi should have become Neo Queen of Crystal Tokyo at the age of 22, and probably wouldn’t be a housewife serving on the PTA. There’s also the fact that all of the Sailor Soldiers (Usagi included) have kept their maiden names despite being married, though that isn’t necessarily unheard of in Japan. It’s just incredibly uncommon, since the husband would need to take his wife’s name instead. 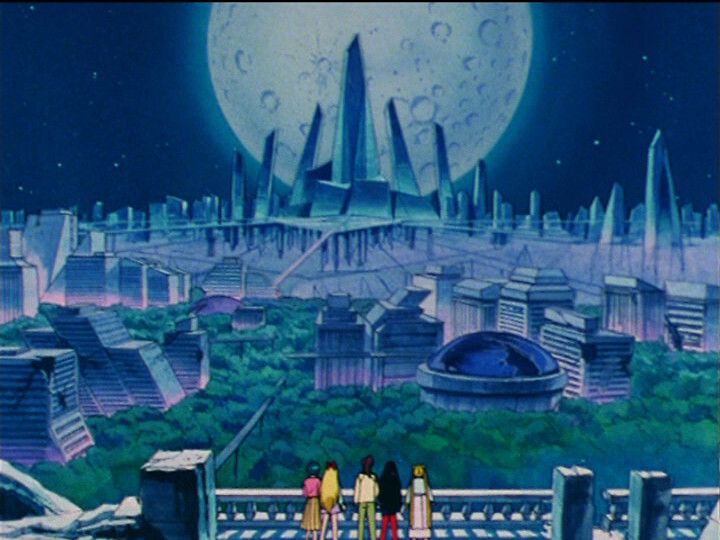 How about we go one step further and grant that the future may have changed after the events of Sailor Stars, and Crystal Tokyo never wound up happening? Nice try, but that theory still fails to line up: Parallel Sailor Moon depicts Hotaru and ChibiUsa as classmates in junior high school. 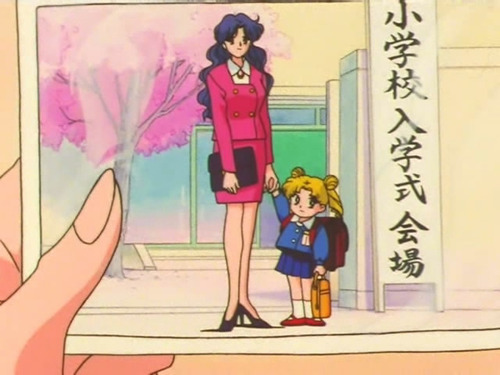 Since Hotaru was approximately 11-12 years old during Sailor Stars,5 she would be well into adulthood by the time ChibiUsa was born and made it all the way through junior high school. 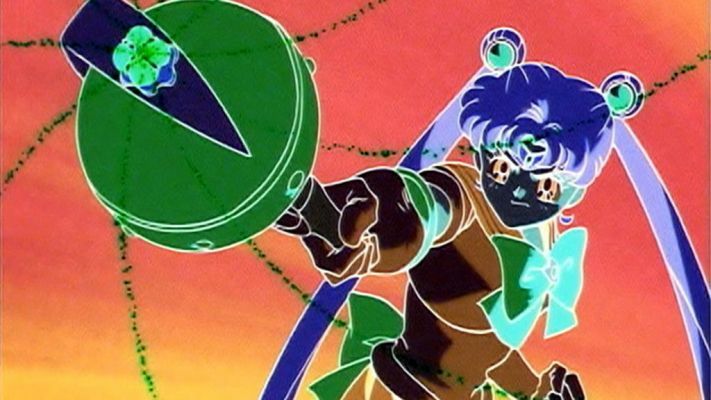 Basically, no matter what way you cut it, the world portrayed in Parallel Sailor Moon can’t and shouldn’t be considered a part of the Sailor Moon canon. That isn’t meant to undermine the story in any way, of course. It’s still an entertaining little romp, and I enjoy getting a glimpse into what Usagi and the rest would be like as normal adults. At the end of the day, however, it’s just a fun little side story that should not be taken seriously. 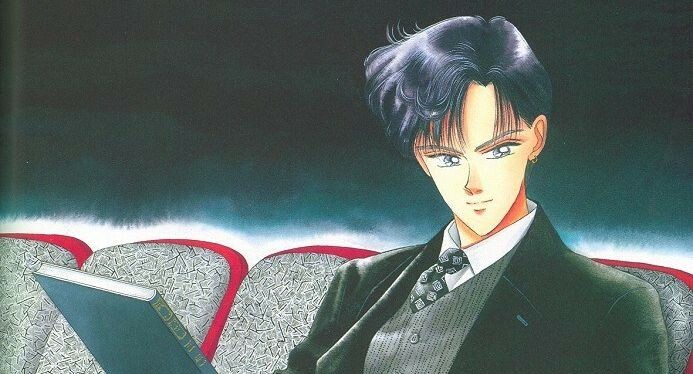 So if Ms. Takeuchi were to even continue the Sailor Moon manga story line, where would you like to see her pick up the adventure? Maybe show what happened post-Sailor Moon and into the Crystal Tokyo era, or would you be more interested in hearing more about the Silver Millennium? Maybe even something entirely different? I’d love to hear what you think! See Act 3 of the manga. But was that a Fire Soul she used against him or just Aku Ryo Tai San? I’m not trying to kill the joke, I promise! I really wish Fire Soul had been included in the manga. Parallel Sailor Moon is a lighthearted joke showing a creator having fun with the characters she created and to celebrate the Year of the Rabbit. The intention was for everyone to have a good laugh. I don’t hate the story or Kousagi, but the fans who try to claim this is canon and force their own theories in are annoying. One of my least favorites is the one where they claim Kousagi is the daughter of Usagi and Kou Seiya. Don’t get my heart beat going, talking about a sequel to Sailor Moon, it would be wonderful and I’m secretly hoping that after Crystal finishes up (if it ever does) that Naoko or even someone hired by Toei/Kodansha will pen a sequel. Doesn’t even have to be a manga first, look at DragonBall Super! It’s a fun little parody of the Sailor Moon world and characters, but you can tell that it was written without any real concern for Sailor Moon’s overall narrative. Still, I enjoy it if you look at it in the right light! Daughter of Kou Seiya and Usagi sounds even stranger when the short story is derived from the manga and Seiya is never biologically male in the manga. Now that you mention it… that is even more absurd than I realized! But then again, wasn’t Usagi supposedly a “virgin birth” due to the power of the Silver Crystal, or was that never stated to be canon? Too bad we never got more on that or the possible Mr. Queen Serenity. I believe we’re left to conclude that Princess Serenity is more of a clone/copy/second incarnation (not technically a REincarnation, since the Queen is still living) of Queen Serenity, at least according to what we learn in the Dream Arc. So on that technicality, I’d say not so much a “virgin birth” since I’m not totally convinced a “birth” was actually involved. But that’s just a minor technicality!